An administrative law judge at the U.S. International Trade Commission has ruled against a ban on Microsoft's Xbox as he found it did not violate a patent owned by Motorola Mobility. In a one-paragraph ruling, Judge David P. Shaw gave an initial determination that the Xbox did not violate section 337 of the Tariff Act of 1930. Section 337 investigations conducted by the ITC most often involve claims regarding intellectual property rights, including allegations of patent infringement and trademark infringement by imported goods, and can lead to the ban on their imports into the U.S. The commission may, however, review, adopt, or change an initial determination. Judge Shaw ruled Friday that U.S. patent no. 6,069,896, relating to wireless peer-to-peer communications, had not been infringed by Microsoft. This was the last patent in the dispute which was filed in the ITC in November 2010 by Motorola, which accused Microsoft of infringing five of its patents. Motorola in January asked the ITC to drop two patents relating to the H.264 video encoding standard from the investigation. Microsoft had said in an earlier filing that it expected Motorola to withdraw claims relating to the two patents it said are essential to the H.264 video compression standard, in view of a settlement earlier in the month between Google and the Federal Trade Commission over standard-essential patents and other issues. Google acquired Motorola last year for US$12.5 billion. Two other patents, relating to the 802.11 standard, were withdrawn by Motorola from the investigation in October last year. Motorola said in its filings that by its withdrawal of the patents from the investigation, it did not waive any rights, including for past damages, in its currently-pending lawsuits against Microsoft in U.S. District Courts for the Western District of Washington and the Western District of Wisconsin. The case before the ITC attracted considerable attention from government antitrust agencies, U.S. Congressmen and companies over the possible misuse of standard-essential patents to get bans on products. 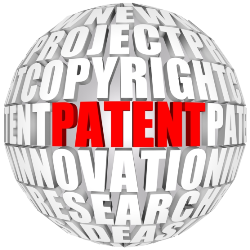 In a submission in the public interest in the investigation, the FTC, for example, said in June last year that it was concerned that a patent owner can make a FRAND (fair, reasonable and non-discriminatory) commitment as part of the standard setting process, and then seek an exclusion order for infringement of the FRAND-encumbered standard-essential patent as a way of securing royalties that may be inconsistent with the FRAND commitment. Judge Shaw had earlier recommended a ban on Xbox consoles in the U.S. He also found that Microsoft failed to establish that Motorola's alleged obligation to provide a license on FRAND terms precluded a finding of violation of section 337. The ITC decided to review the recommendation in July.